Tag: How many hens per acre? 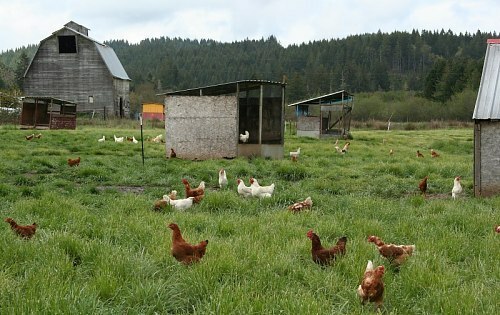 Free-range hens on spring grass on my farm. What’s the maximum number of hens I can keep per acre? And what’s the downside of exceeding this? Why do I get answers all the way from one to a thousand? And, for that matter, what are the best tips for keeping free-range chickens? Author Robert PlamondonPosted on April 18, 2015 November 11, 2016 Categories Chickens/PoultryTags free-range eggs, How many hens per acre?, pastured poultry3 Comments on How Many Chickens Per Acre?